We saw school year 2013/14 out in great style. After our open-air Mass, attended by parishioners, pupils and teachers, local man Pierce Bolger brought along his guide-dog Whiskey and hosted a great Q & A session. Pierce is a great character – he had all of us in stitches! 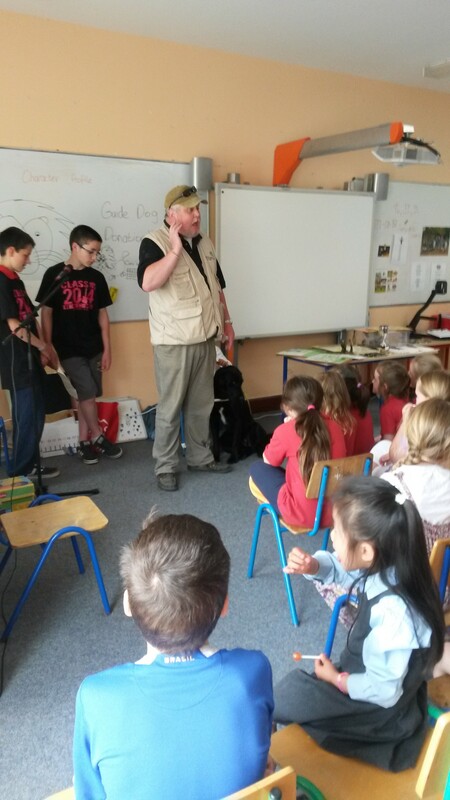 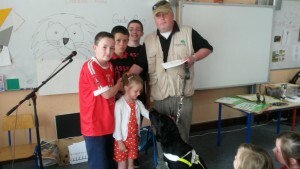 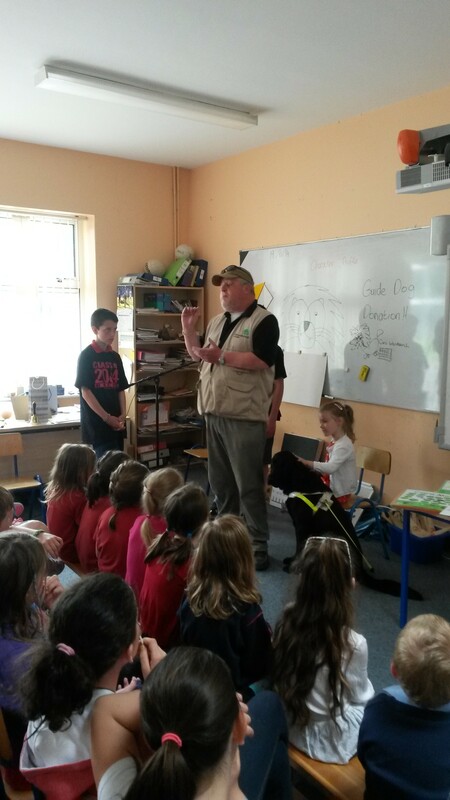 He told us all about the very serious business of the Irish Guide Dogs for the Blind Association too. 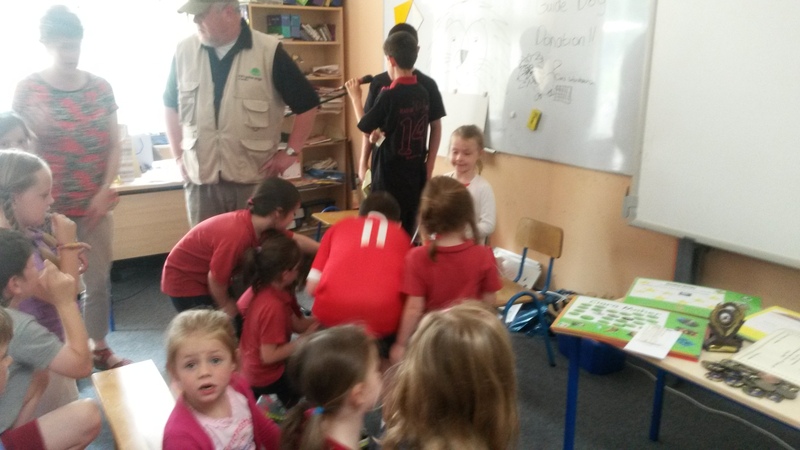 We raised over €280 for the Association through our Sports Day frolics.